"No one is getting out of the car, now drive!" "Seatbelts – now!" EuropaCorp has debuted the new trailer for The Transporter Refueled, the return of the Transporter franchise. Technically this is the 4th film in the series, following Jason Statham's trilogy. "Game of Thrones" actor Ed Skrein takes over and becomes the "Transporter" this time, driving a few special packages in slick cars all across Europe. This very much feels like just another retread of the same material, throwing lots of stunts and action into a weird storyline about a driver. It actually doesn't look so bad, but I think I prefer Hitman: Agent 47 a bit more. Take a look! 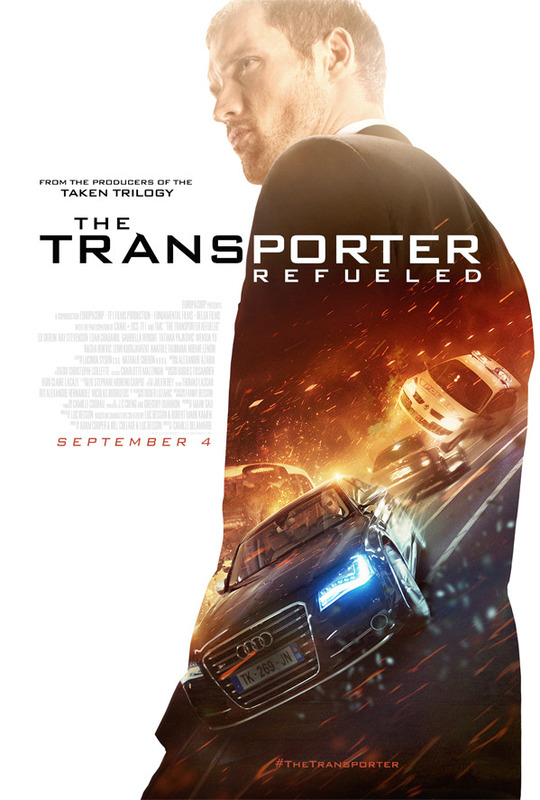 The Transporter Refueled is directed by Camille Delamarre (Brick Mansions) and written by Bill Collage & Adam Cooper (Exodus: Gods & Kings, Tower Heist). This time, it's Ed Skrein ("Game of Thrones") inheriting the action franchise as Frank Martin, the most highly-skilled transporter money can buy. The stakes are greater and technology better, but the same three simple rules apply: never change the deal, no names and never open the package. Ray Stevenson, Loan Chabanol, Radivoje Bukvic, Gabriella Wright, Anatole Taubman and Tatiana Pajkovic all star in the film. Europa Corp. will release on September 4th. Wow. Refueled. That's a cheesy title. it goes with all the cheesy dialogue. And it will go fine with a load of popcorn. Not gonna buy a ticket. But Netflix is OK for me. I could easily picture "Michael Scarn" delivering every one of those lines. I still think this should have been brought to series on Starz. This movie is going to tank. Looks terrible, this is gonna flop hard.